C asean Consonant is a cultural platform to connect ASEAN countries in aspects of arts and culture and to groom the new generations to be the better ASEAN citizens. 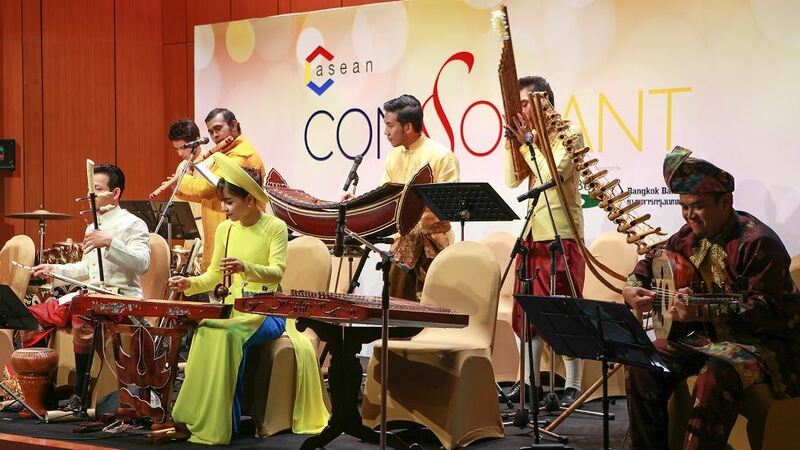 C asean recognizes that art and culture are key elements for building the social economy of ASEAN, thus, C asean Consonant is formed by bringing together music advisers and new generations of musician across ASEAN. Even though they do not speak the same language, but they may find the way to communicate through the language of music. From its debut concert in December 2015 to its roadshow concerts in Malaysia and Singapore in March and April 2016, we have strong proven track records in promoting songs and sounds of ASEAN. Moreover, C asean has collaborate with government agencies and organizations across the region, like Ministry of Tourism and Culture of Malaysia and the Office of Alumni Relations of National University of Singapore. Previously, C asean Consonant was received great compliments from government sectors, various media channels and press across ASEAN such as CNN Indonesia, Channel 3 (Thailand), Channel 7 (Malaysia), Bernama (Malaysia), Thai PBS and many more. We have also been invited to perform in many stages in Thailand and overseas. In 2017, C asean Consonant will be exposed to international media and worldwide channels. We also expect to have 5,000 audiences to come and enjoy C asean performances in 2017. We also wish to have more music lovers to learn, share and preserve traditional music of ASEAN as our mutual language & heritage, not only for Southeast Asian Nations but also for all races worldwide.